Home Read Stalker Apocalypse Update – North Korea, Spying, and Expulsion. Stalker Apocalypse Update – North Korea, Spying, and Expulsion. Stalker Apocalypse Update. North Korea, Spying, and Expulsion. 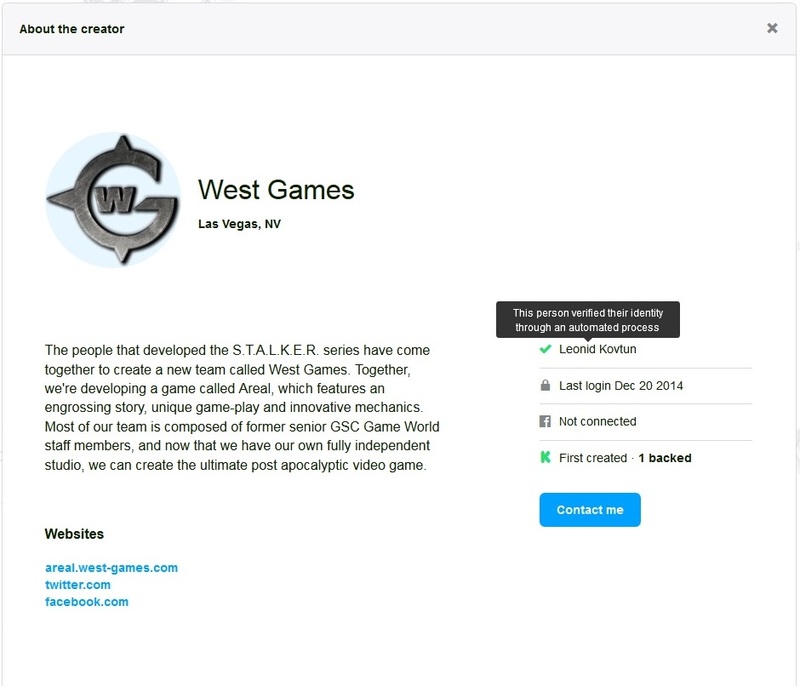 West Games is back to their same old tricks again, but this time they are aggravating more than just Stalker fans and crowdfunding enthusiasts. Here’s a quick recap of what the fine folks at West Games have been doing while the rest of us are getting ready for the winter holidays. You read right, Leonid Kovtun aka West Games (no surprise there) logged in to their Kickstarter account December 20th to, presumably, have a little peak at the discussion going on between disgruntled Areal backers who gather there to leave update one another on new developments. Backers have already been alerted to this and all ”sensitive” communications are being conducted elsewhere. I don’t really know enough about them, but the story is quite funny. These guys were basically promoting themselves as being the STALKER team, that they were working on STALKER, but that’s not true. When we were working on STALKER 2, we were also planning on releasing a browser game based on STALKER so we could keep the audience engaged until released. That project was never finished. There were mistakes. But the guys at West Games, that was the STALKER project they were working on – a flash game. So when they promoted themselves as having worked on STALKER, I was quite surprised. We would definitely win the legal action against them, but we won’t start it. They used a lot of the ideas from STALKER… I don’t know what they were thinking, starting that. I haven’t heard from them for quite a while. That, folks, is all she wrote. If there were any doubts concerning West Games’ legitimacy then they’ve definitely been addressed now. If you’re going to have everyone in the gaming community angry at you, why not invite North Korea to join the fun as well? Stay tuned for more, I have a feeling there will be more soon. In the mean-time, be sure to check out our previous coverage. Finally, an acknowledgement: I want to thank all the S.T.A.L.K.E.R fans that have keep updated on this ongoing drama. I’d especially like to thank long time Stalker fan and Modder “d4v33edz” for keeping me posted on craziness that is West Games.